Here at Down To Earth Recycling we have the capacity to handle up to 96,000 tonnes of waste per year. This is typically made up of wood, Green and non-hazardous liquid waste. We also take plasterboard. The waste typically received at our site includes a mixture of kerbside and civic amenity site waste. 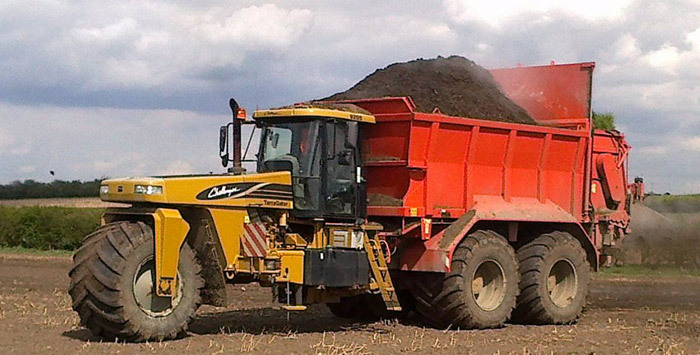 Our agricultural compost consists of green waste, clean wood waste and non- hazardous liquid. All material accepted on our facility goes through a separation system and full analysis and compliance is carried out. Once the shredded green waste is blended with the clean wood and non-hazardous liquid, the material is all entered into one of our two receptor pits and blended thoroughly. This material is then placed on our concrete composting pads and formed into open air windrows. The windrows all have individual identifications which provide full traceability systems. During the windrow phase it is essential to monitor the moisture and temperatures within the windrows to maintain perfect composting conditions and sanitisation of the material. At Down To Earth Recycling our Agricultural compost has proven to aid in the drainage and water holding capacity of the soil. Our Agricultural compost provides valuable organic matter. It has the capacity to slowly release Nitrogen, Phosphate, Magnesium and readily available source of Potash.